MFT Academy for Distance Learning offers world-renowned universities best distance education programs that provide essential tools and strategies for career starters, career changers, and career advancers. These distance Education programs are designed to provide working people and aspiring career professionals with ability to get additional education quickly, conveniently and affordably. Here we provide correspondence education in both the undergraduate as well as postgraduates. Here the students are provided with quality study material. This institute proves to be very beneficial for the working people as they can complete the course at their own convenience and support their lifelong success by empowering them to become a Total Professional. MBA ( 2 years / 1 year), MBA International Business Management, MBA Fashion Apparel Management, MBA Financial Management, MBA Hospital Management, MBA Marketing Management, MBA Educational Management, MBA Operation Management, MBA – GENERAL, MBA Tourism and Hotel Management, MBA Financial Management, MBA Hospital Management, MBA Investment Management, MBA International Business, MBA HR-Human Resources Management, MBA Retail Management, MBA Information System Management, MBA Financial Services, MBA Entrepreneurship, MBA Services Management, MBA Export Management, MBA Project Management, MBA Technology Management, MBA Aviation Management, MBA Airline and Airport Management, MBA Shippping and Port Management, MBA Health Care Management, MBA Shipping and Logistics Management, MBA Logistics and Supply Chain Management, MBA Customer Relationship Management, MBA Costing and Financial Management, MBA Disaster Management, MBA Banking and Finance Management, MBA Event Management, Executive MBA (1 year), Integrated MBA. BSc Information Technology, BCA (Bachelor of Computer Applications), BBM, B.Com, B.Com Computer Applications, B.Litt Tamil, BSW, BA English, BBA, BBA Air Cargo,Shipping and Logistics Management, BBA Logistics and Supply Chain Management, BBA Shipping and Port Management, BBA Finance and Accounting, BBA Customer Care Management, BBA Airline and Airport Management, BBA Event Management,B.Com, B.Sc ( Psychology, Maths, Physics, Visual Communication, Apparel Fashion Design), BA (Tamil, English ,History, Economics, Political Science). MSc Costume Design and Fashion Technology, MSc Geography,M.A Tamil, MA History, MA Political Science and Public Administration,MA Sociology,MA Economics,MA English ( Tamil, English , Hindi , Urdu , Modern Arabic , Economics, Historical Science , Mass Communication & Journalism, Political Science , Public Administration, Sociology , Christian Studies , Human Rights & Duties Education, Vaishnaviam, M – Music, M.Com , M.Sc Maths , Psychology, Geography , Counseling Psychology , Medical Sociology, Physics , Chemistry , Zoology , Botany), B.Tech & D.Tech(Civil ,Mechanical, ECE, EEE, Computer Science, IT) , We are committed to create quality professionals to meet the emerging Industrial and social needs through: Innovative Teaching, Applied Research, Industrial Interaction, Placing faith in Human Values, Aiming at continual improvement in all activities. Explaining about the courses and guiding the students to select the programme. Issuing of universities application forms for admissions. After receiving the filled in application Form from the candidates along with course fees with documents will be forwarded to University. Receiving ID Cards from University and issuing of ID Cards with Enrolment number and study materials to the students. Personal Contact Classes will be conducted by experienced faculties. The contact classes will be Case study methods and Seminars. Contact classes are conducted in Chennai. State of the art hi-tech labs and live projects for IT students. Date of Exams will be intimated to the students. 149, 100 Feet Road, Ekkattuthangal, (Between Hyundai Show Room and Kasi Theatre Bridge) Chennai – 600032. ph: 98410 94794, 98415 67876, 2225 1155, 2225 2277. 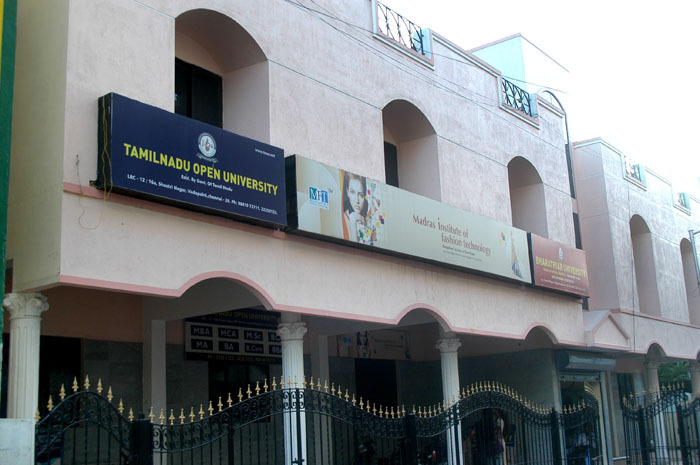 Vadapalani:	16A, Shastri Nagar, 100 Feet Road (Between Hotel Ambika Empire & Mosque), vadapalni, Chennai – 600026. Ph: 98412 70011 ,98418 12612,2362 3678. ISO 9001:2008 Certified Institute – 15 Years of Quality Education – Served more than 50000 Students.